So you found out you're expecting! 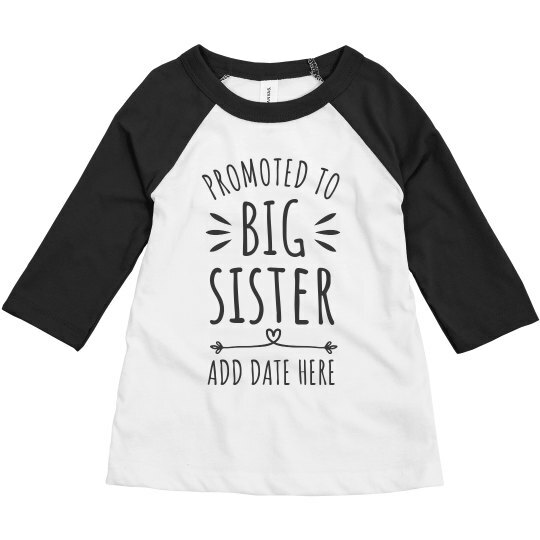 Help your family celebrate with this Big Sister Promotion t-shirt. Customize the date at the bottom to when your baby is expected and you're all set! The light and girly design will be perfect for her when she wears it before and after the the arrival date.